Southwest Airlines planes are loaded Tuesday, Feb. 5, 2019, at Seattle-Tacoma International Airport in Seattle. Southwest Airlines on Tuesday grounded more jets leading to higher numbers of canceled flights than its peers as the carrier extended an "operational emergency" to its hub in Dallas, telling scheduled mechanics they have to show up for work or risk termination. Southwest had canceled 181 flights on Tuesday, about 4 percent of its operation, according to the FlightAware tracking site. Its Dallas rival, American Airlines, in comparison, had canceled 12 flights, less than 1 percent of its daily operation of more than 6,000 flights. Southwest said some of the cancellations were due to poor weather. But the airline noted that the number of Boeing 737s it has taken out of service for maintenance was more than double the usual 20 out of about 750 planes that the airline expects to be removed for such issues each day. There has been "no common theme" among the problems with the aircraft, it said. 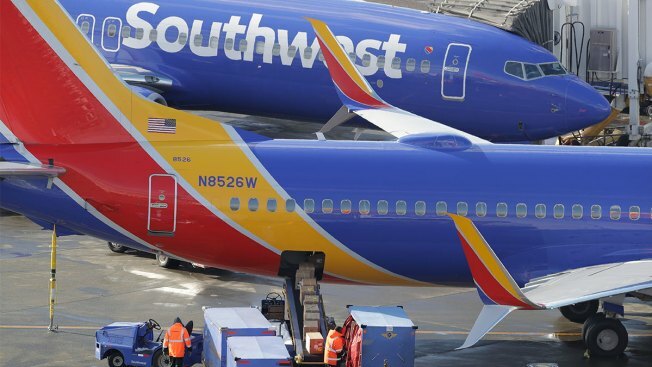 Southwest last week told its mechanics at bases including Las Vegas, Houston and Phoenix that because of the emergency they would have to show up for work. It warned they would risk termination if they didn't follow company protocols, such as bringing a doctor's note upon return to work after calling in sick. That "operational emergency" was extended to Dallas on Tuesday. The airline has been in contract talks with mechanics since 2012. "Due to the emergency, we will direct employees alleging illness to provide a doctor's note, on their first day back, indicating when the doctor was seen and confirming that the employee was unable to work on the dates he claimed illness," Southwest maintenance director Lonnie Warren said in Tuesday's memo.